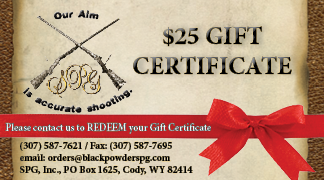 Gift Certificate and great gift for anyone. Gift Certificates are available in $20, $25, $30, $40, $50, $75, $100, $150. NOTE: When checking out your order, please fill in the box marked 'SPECIAL INSTRUCTIONS'; including the recipients Name, Email, Phone Number, and Mailing Address. We will then inform the recipient that a gift certificate was purchased in their name, by you, and how they can redeem the Gift Certificate. If you have a personal message you would like to include, please do so in the same box.